Another Lakme product but this one unlike the previous one is worth the price.Well This is what I think the product should at least justify the price!! . :) even if it is as low as 100 INR. 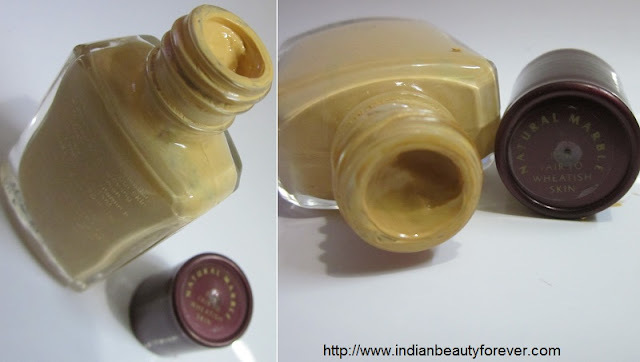 This was my first ever Lakme foundation or base makeup that I tried and have liked it since. The shade that I have is natural marble. It is available in 2 other shades as well. but this and the ivory, they look very similar. Why Lakme??? Claims- Blends easily into your skin to create a soft glowing and feather like finish. A water-resistant, oil-free formula with Vitamin E that provides superior coverage. Silicone helps in easy application, spreading evenly for an even toned look. 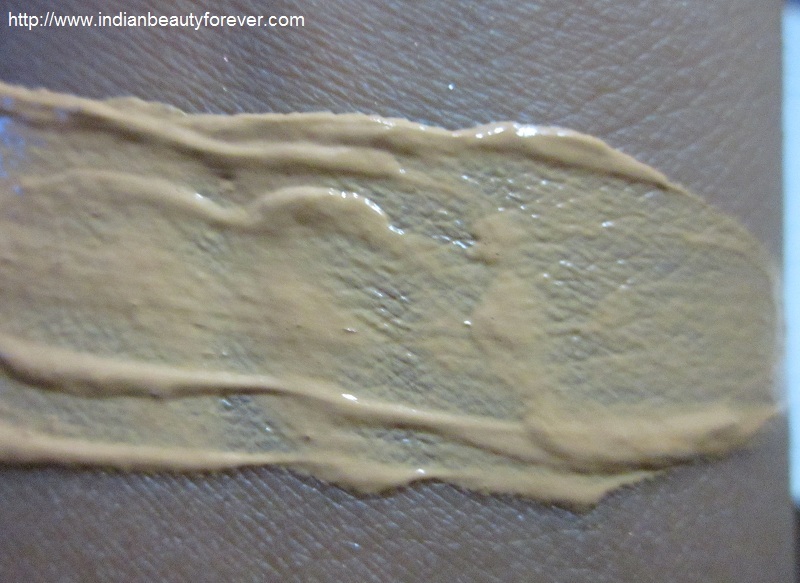 My Experience- This cheapest foundation from Lakme is called Perfecting liquid foundation.This was the first foundation that I have ever used and this year I repurchased it. It gives me what I want from my foundation at certain times. It comes in three shades Natural, marble and Shell, if I am right, they look similar anyways. I have bought the one in natural marble which is meant for the fair to wheatish skin tones. 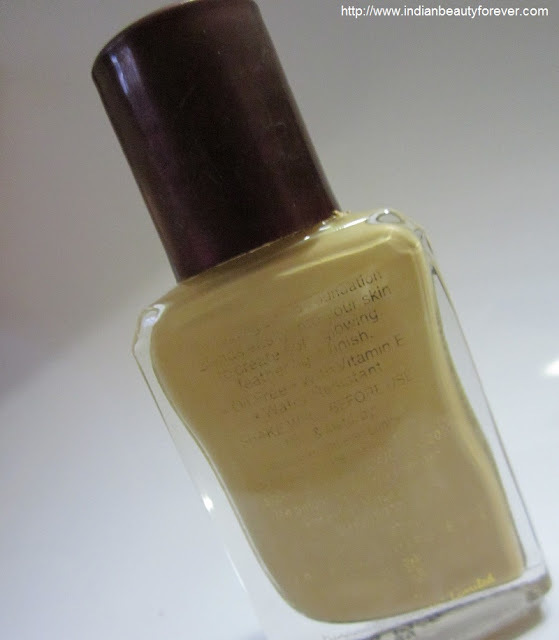 It has yellow undertone which blends in with my skin very well. In fact this is the main reason I like it!! as the other brands like Revlon and Maybelline rarely launce shades that has more yellow tones to them. I don't know why they ignore the fact that in India, we are more yellow tones than pinks. Lakme being an Indian brand has never failed to understand this and no doubt when it comes to perfect color match Lakme would suit most of us if not the other qualities. Anyways, this foundation is thicker then the soufflé foundation from Lakme and provides a bit more coverage and evenness. I like its texture, simply because it is oil free and perfectly matches my skin tone without making it made up or giving horrible white cast. Best thing is that it does not have any fragrance at all. It’s really cheap and overly budget friendly. I am not using it much now a day since I am more into the Oriflame Peach me perfect skin glow tinted moisturizer. But I do some times, mix it up a little bit of this with the Oriflame one to get more coverage. Moreover, the Lakme Invisible finish foundation that I got few months ago, is working fine for me which made me completely forget about this foundation. I have not seen this product in darker shades so choosing a shade out of the limited shades is impossible, if you have a dusky skin tone. In fact, Lakme invisible finish comes in 8 shades and they do have darker shades that are suitable for the duskier complexion. The same thing goes with the Maybelline BB creams as well with only three shades to choose from. 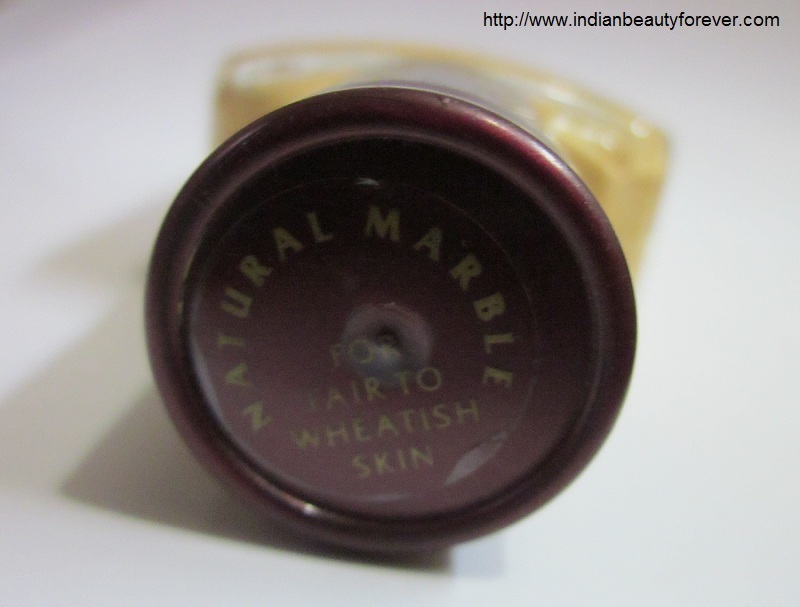 This is the swatch of Lakme perfecting liquid foundation in Natural marble. Budget friendly or way too cheap for a foundation. It has matte finish and oil free formula. Texture is good and it blends well. Has not not break me out yet. For dry skin, moisturizer is needed before this. My take- If you are looking for a budget friendly, affordable foundation that works well try it. Dry skinned people can use moisturizer before using it however, it works well for oily skinned beauties too due to its oil free formula. This one blends and matches my skin tone well. Thank you preetha, same here, i ma sure it still is popular amongst college girls. :) quiet pocket friendly na. Thank you Neha. :) I have tried three so far and they are upto my expectations. I read that his gives a chalky finish, is it so? This is my first ever foundation too Niesh <3 :) Loved your review..
i m on the each word of the review.. I haven't tried, but lately I have heard of this brand a lot. worth to buy.nice review niesha. Indeed Ramya..:) it is value for money. I like it a lot and it was my first one as well!